Home / Entertainment / Celebrities / What Pakistani celebrities wore in Feroze Khan’s wedding? 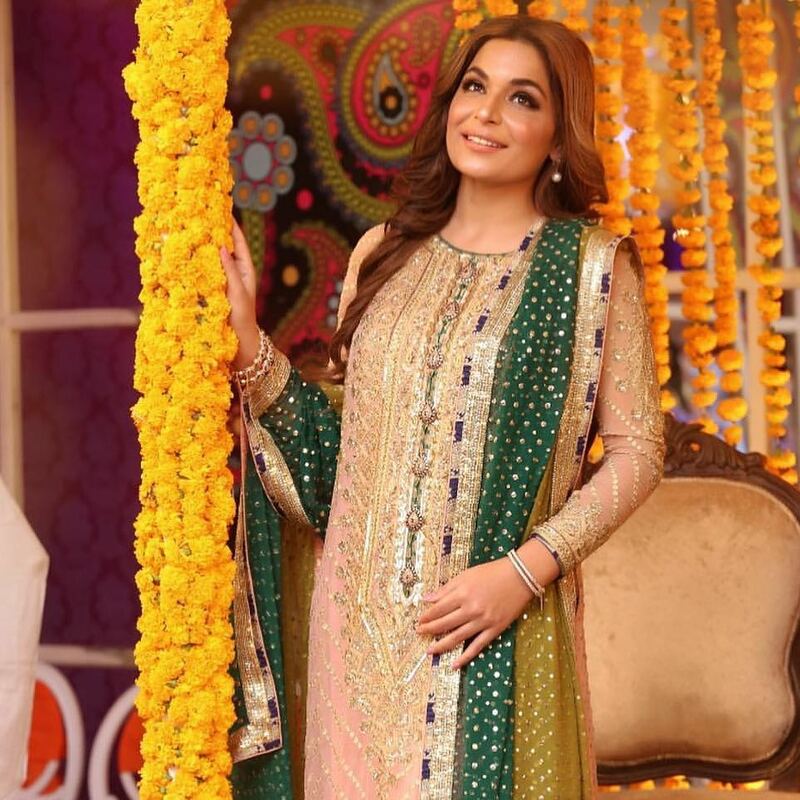 What Pakistani celebrities wore in Feroze Khan’s wedding? Web Desk: Feroze Khan’s wedding not only excited the Pakistani showbiz industry but also the fans all around the world. The pictures of the wedding stormed the internet. His glamorous wedding was attended by many stars from the industry. The stars wore their favorite dress for this special event. Mira picked this dress for mehendi which she wore with minimal gold jewelry. She smoked out her eyes and blow-dried her hair. 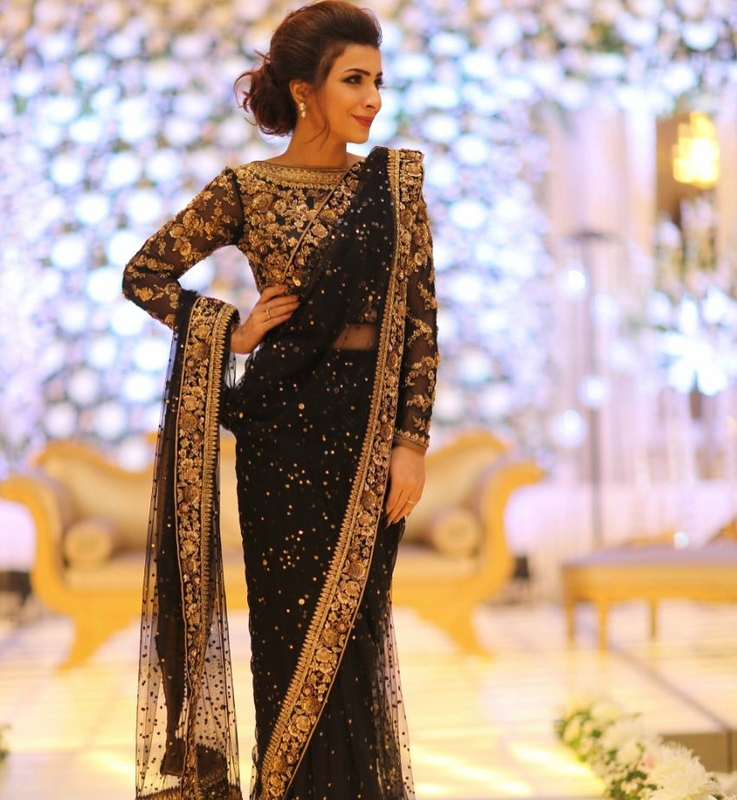 Feroze’s sister Dua Malik wore black sari with gold embellishments in Valima. In her makeup, she chooses Smokey eyes, blushed cheeks and rosy lips. 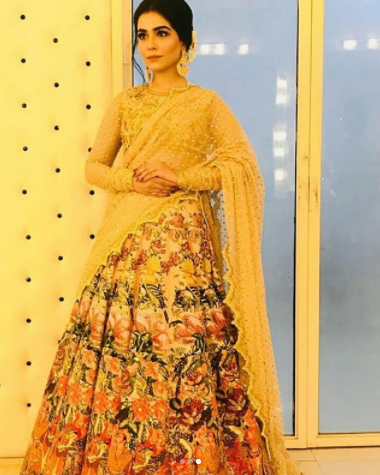 Humaima Malick grabbed heavily embellished floral lehanga. She kept light make up and tied a neatly bun.